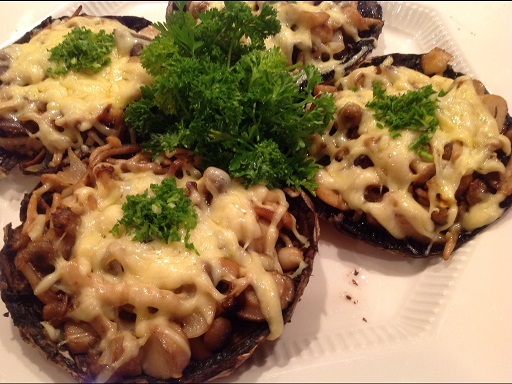 Allow me to present a recipe and pictures by a guest in this blog, Susanna. This amazing, health conscious lady cooks only with the freshest, organic ingredients to creates beautiful and tasty meals. 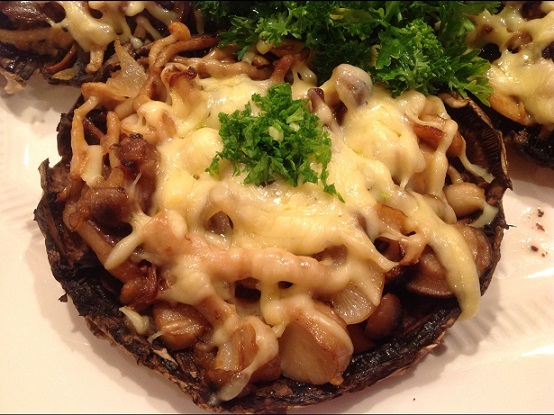 This mushroom recipe could hold its own as a meal or as an appetizer. Wipe the portobello caps with a moist paper towel. 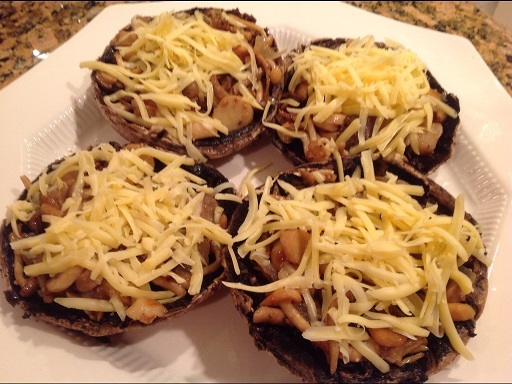 You don;t want to wash the mushrooms, because they will absorb water. Saute onions and wild mushrooms, season vegetables with salt and garlic. Made the mushrooms. Very,very good. Larisa, by any chance you have a good recipe for yellow cake? My cake comes out hard. I have a good recipe for filling but buy cake from store. Thank you again. Sofya.